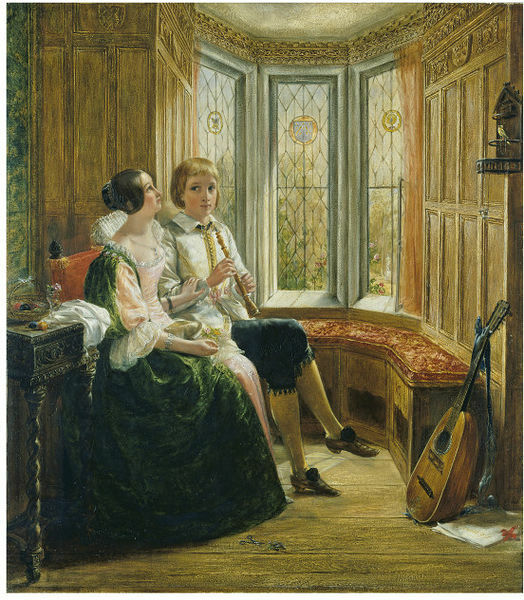 Some critics interpreted the subject as a young woman silencing her companion’s oboe to listen to the caged bird. Others read it as the bird out-performing the musician. The figures are wearing 17th-century costume and are set in the dining room of Haddon Hall, Derbyshire, which Horsley first visited in 1835. 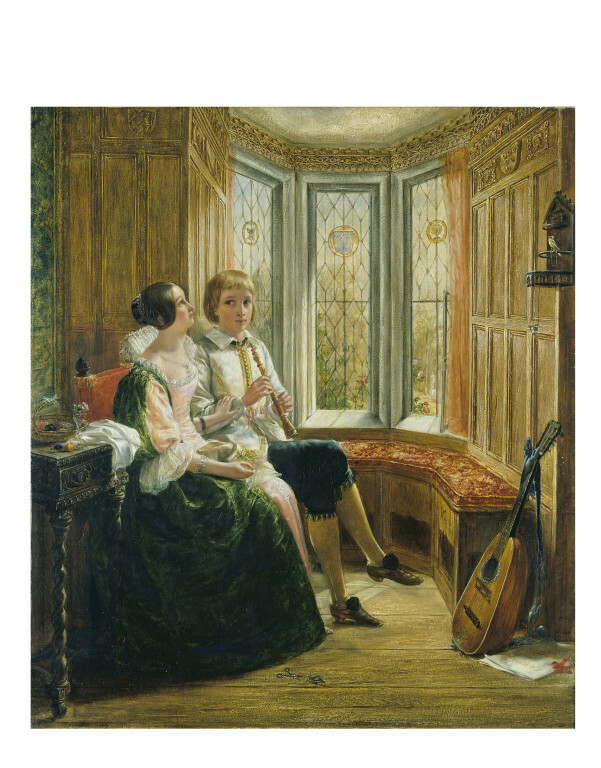 Oil painting entitled 'The Rival Performers' depicting a young couple seated in a window of a wood panelled room. 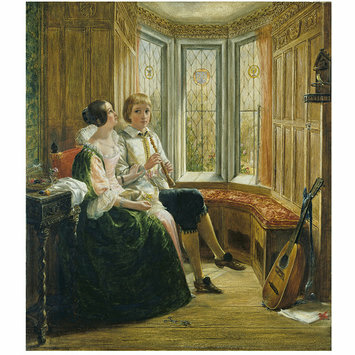 The boy is holding an oboe, poised to play, whilst the girl clasps his wrist, looking up at a canary on a perch in front of them. There is a lute leaning against the wall beneath the bird, and a small pair of scissors and a flower on the floor by the feet of the seated girl. Oil painting entitled 'The Rival Performers' by John Callcott Horsley. Great Britain, 1839.